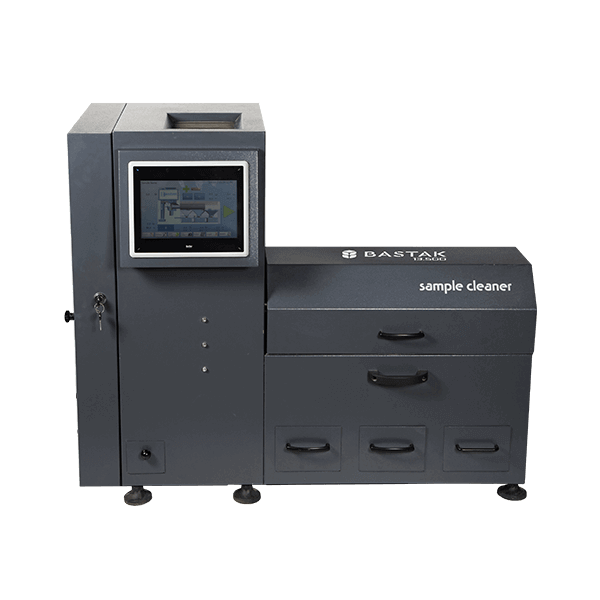 BASTAK brand, 13500 model sample cleaner device. Through the convertible cylinder sieve inside the device; a sample is sifted and classified. Then the sample is collected to the balanced drawers. Through the LCD touchable screen, the process is able to control, sieve turning speed, feeding gate opening, blowing power, process time and language selection. Broken particles, foreign matters such as powder, feather, good cereals and big foreign matters can be separated easily and classified at wheat, barley, maize, rye, oat etc. Before buying raw materials, this device informs about the quality of the products by analysing quality control and impurity.